← Bicycle Expo 2012 – Coming Soon! The Bike EXPO 2012 organizers were rewarded with two recent, significant events in Albany. 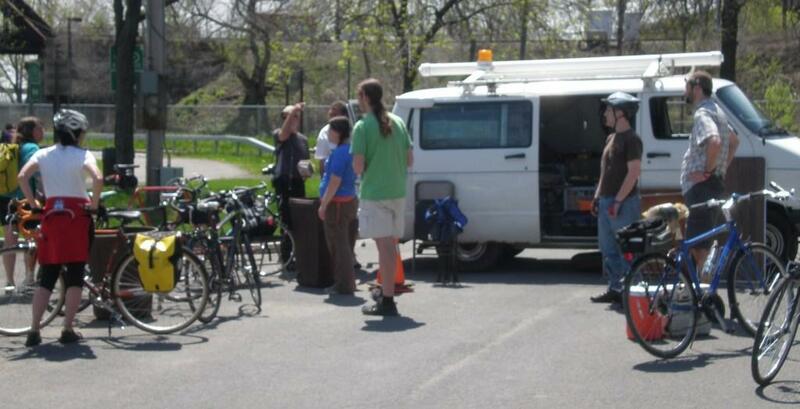 On March 7, 2012, the Council of Albany Neighborhood Associations (CANA), which is made up of representatives from all the neighborhood associations, showed its support for Bike EXPO 2012 by making a cash award to help finance the event. The next evening, Delaware Area Neighborhood Association (DANA), stepped up with a matching grant. At the CANA meeting, we had many comments, questions, and applause. Fortuitously, our presentation followed that of the evening’s key speaker, President of the Albany Common Council, the Honorable Carolyn McLaughlin. Many of the visions she outlined for the city were supported immediately afterward by our description of the Bike Expo (community building, neighborhood growth, reduction in parking issues, etc.). Albany Bicycle Coalition is extremely grateful to both organizations – first for providing time at their meetings for us to tell our story and, second, for their generous support.